Janet Jackson's Rock and Roll Hall of Fame induction speech: "Please induct more women." Feed ’em All? For Whom the Dinner Bell Tolls? … And Breakfast for All? The donation was enough to “provide 30,000 meals for Utahns facing hunger” according to the Utah Food Bank. The band’s next stop will be Spokane, Washington, where a portion of every ticket sold will go directly to the state’s Second Harvest program. 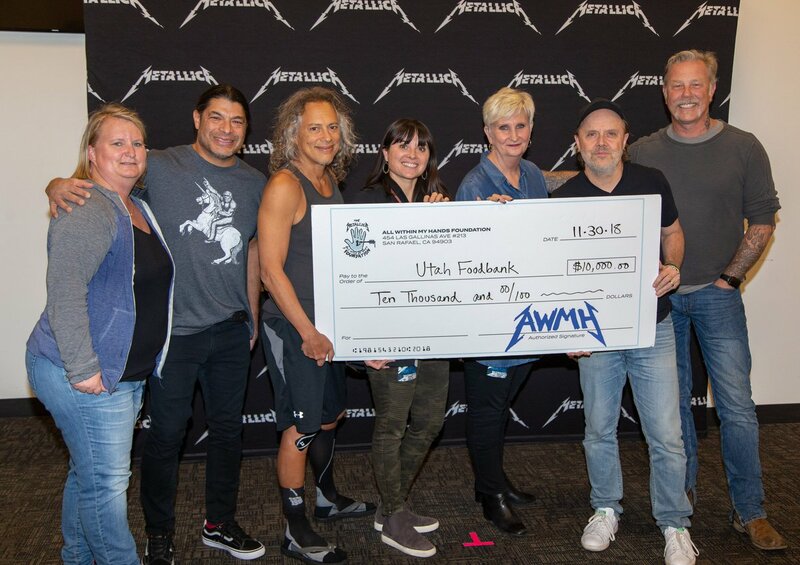 What do you think of Metallica’s “All Within My Hands Foundation”? What is your favorite food-based Metallica song pun? Let us know in the comments.